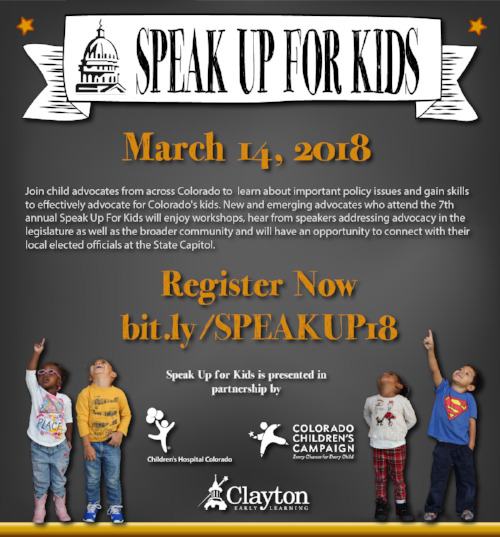 Join Clayton and our partners at Children's Hospital Colorado and Colorado Children's Campaign for the 7th annual Speak Up For Kids! Speak Up attendees are new and emerging advocates from across Colorado who want to learn more about issues impacting children and families, as well as new strategies and tools for advocating in the community. Registration is free, but space is limited, so click here to reserve your seat today! Are you a previous Speak Up For Kids attendee interested in taking on a leadership role at this year's event? 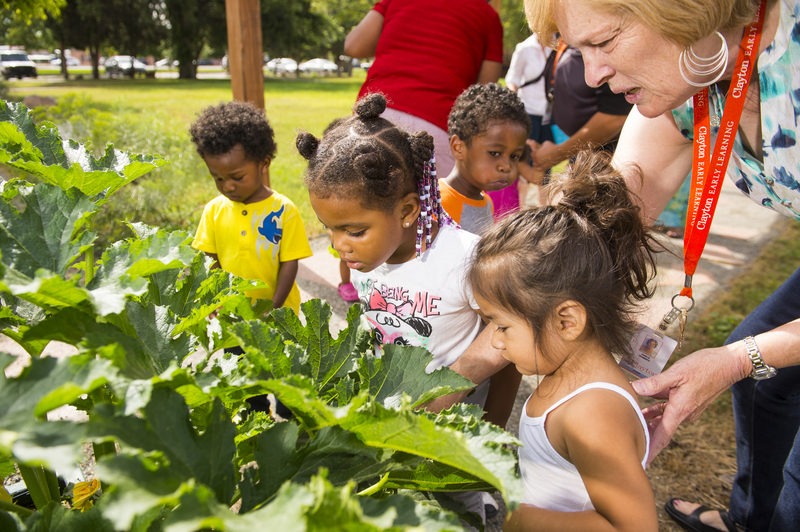 Consider registering as an Advocacy Coach! Speak Up For Kids Advocacy Coaches support a small group of attendees as they visit the Capitol and connect with their local legislators. Advocacy Coaches can participate in a brief training prior to the event where Speak Up coordinators will provide guidance and answer questions about the Advocacy Coach role. Sound like a good fit for you? Click here to register as an Advocacy Coach at Speak Up For Kids 2018.